1. Click the Upgrade button to your preferred plan. 6. Clicking the "Next" button will redirect you to the last page where you can see the instructions on how to send your payment. 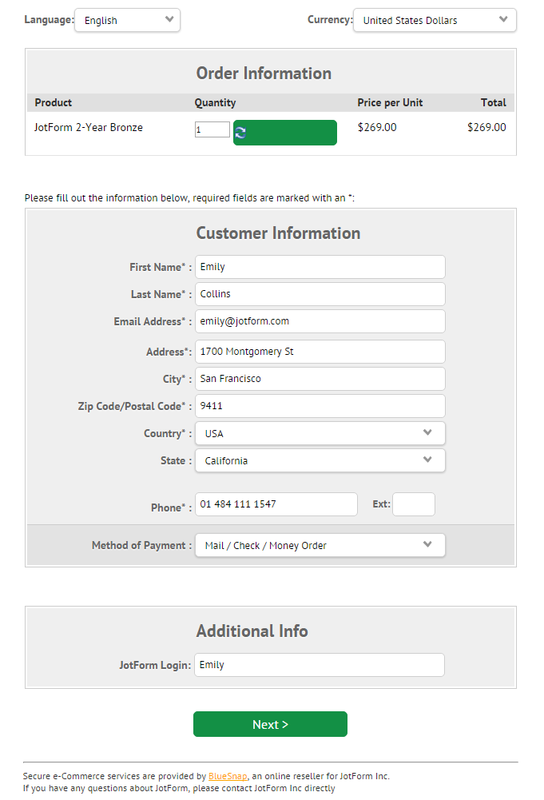 If Paying by Credit Card, you need to fill the credit card information at the bottom of the print page. Please don't forget to add the date and affix your signature in the printed version. Please don't forget to note the Reference Number of the transaction. Additional email should be sent to you by BlueSnap which is the payment processor for this transaction. Mail/Check/Money Order payment is considered a manual payment and would take a few days/weeks to be processed. BlueSnap will advise us of the payment. Until then, we cannot upgrade the account. For the 1-year Bronze upgrade, the option to pay by mail/check/money order is not showing. Is this option only available for the 2-year payment schedule?